Unions call for licensing standards for asbestos removal firms in B.C. Unions say asbestos removal firms in British Columbia should be regulated by a licensing system in order to better protect the health and safety of workers. The BC Insulators Union and the B.C. Federation of Labour say asbestos removal firms in British Columbia should be regulated by a licensing system in order to better protect the health and safety of workers. This call to action comes after a recent B.C. Supreme Court judgment which permanently banned such a company found to have broken health and safety regulations over 230 times and racked up more than $630,000 in unpaid fines. On Feb. 22, Justice Francesca Marzari indefinitely banned Mike Singh and his company, Seattle Environmental Consulting Ltd., from providing aesbestos-removal services. "The number of breaches, and the repetitive nature of many of them, suggests that individual compliance orders made only when Seattle or Mike Singh are caught breaching the Act and Regulation has not dissuaded [them] from continuing to provide abatement services in a way that repeatedly gives rise to significant safety concerns," Marzari wrote. Asbestos, a silicate mineral once used extensively in building construction, can be deadly with long exposure. 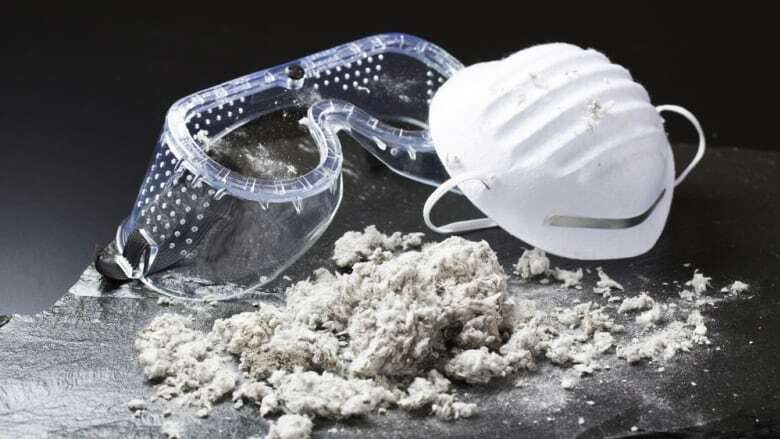 According to the labour union, 53 workers died from asbestos-exposure related illnesses in 2017 in British Columbia, making it the leading cause of workplace death. The province had been undertaking a review of the industry, and the unions have included licensing in their recommendations. Neil Munro, with the B.C. Insulators Union, says it's examples like Mike Singh that makes licensing important. Munro says a licensing system would allow WorkSafeBC to stop companies violating health and safety laws from continuing to do business. Other jurisdictions already have such systems in place, including Washington and Oregon states, the United Kingdom and Australia. "This is a perfect opportunity to get some regulation in place," he said. "[This would] allow the governing body to pull a license immediately that stops the harm happening right away, not months and months down the road." He says the licensing system is one of the many suggestions they have put forward to the review board. They are also recommending training and certification of asbestos workers, the creation of new disposal sites in B.C., and provincewide laboratory standards for asbestos testing. "It's time to act, not delay," he said. The B.C. Federation of Labour says a recent federal pledge to completely ban asbestos is both welcome and overdue but a national plan to take strong action to enforce it is essential. "We have asbestos in homes, in commercial, industrial and government buildings and we also have it in hundreds of thousands of brake linings in cars and trucks across Canada — any exposure to asbestos fibers can lead to mesothelioma and other fatal diseases, so we have to act now," said president Laird Cronk.